Hello! I'm a student trying to start up an IT company looking to make some extra cash to pay for university. I live in Duncan but can work remotely. 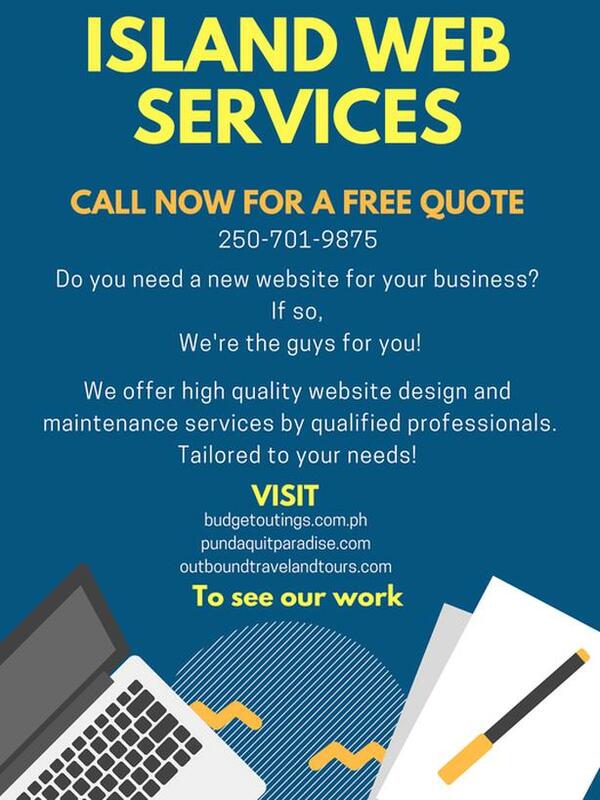 If you want to check out what we can do for you, visit budgetoutings.com.ph pundaquitparadise.com outboundtravelandtours.com. I'd suggest checking both on mobile and on desktop to see how it would look on both devices. Thanks!